According to the Egg Nutrition Center, about 280 million hens produce some 60 billion #eggs each year in the United States. Since a good majority of those eggs get consumed, I thought it would be helpful to unravel some of the mystery surrounding the egg. I’ve heard eggs can raise my cholesterol. Is that true? “The eggs/dietary cholesterol/heart disease debate has been going on for 38 years, and no study to date has shown that eggs are related to heart disease incidence. The Framingham Heart Study, Nurses’ #Health Study, Health Professionals Follow-Up Study and MRFIT have all been negative,” says Donald J. McNamara, Ph.D. of the Egg Nutrition Center, a nonprofit organization funded by the egg industry. On the other hand, if you have total cholesterol over 240 mg/dl, a family history of heart disease, diabetes, high blood pressure, or you smoke, aim for no more than 200 milligrams of cholesterol per day. “You can still eat an egg a day, but rather than large eggs, choose one small or medium egg with 157 and 187 milligrams of cholesterol respectively,” says Tanya Zuckerbrot, M.S., R.D., a Miami-based nutritionist. 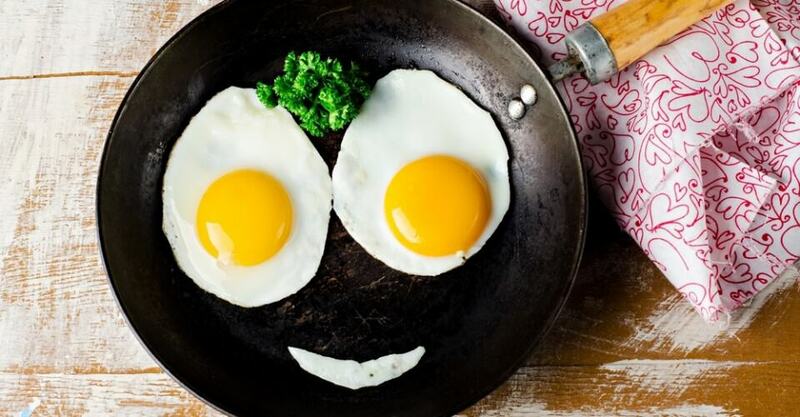 The bottom line is that dietary cholesterol has some effect on blood cholesterol, but it’s not an issue unless you eat a lot of eggs, says Bonnie Liebman, director of nutrition at the Center for Science in the Public Interest. At what level should you be concerned? The fact is, if you take a balanced approach and eat eggs occasionally, it’s OK. “However, if you’re eating two eggs or more a day, there could potentially be an issue with cholesterol and increased risk factors for disease,” adds Liebman. Remember, eggs aren’t the only #food containing dietary cholesterol. “On average, an ounce of meat contains about 20 milligrams of cholesterol. Cholesterol only comes from animal sources, so pay attention to how much meat or cheese you’re having on egg days. Why not go meatless and cheeseless for a meal?” advises Andrea Dunn, R.D., L.D., C.D.E., of the Westlake Family Health Center at The Cleveland Clinic. How do eggs compare with other common breakfast foods? One egg, 1 ounce of sausage and 1 ounce of ham all have about 5 to 6 grams of protein. Ham comes in the leanest, with 2 grams of fat, compared with the egg at 5 grams and the sausage at 8 grams. Ham and sausage don’t even come close to eggs when it comes to cholesterol — ham has 17 milligrams of cholesterol, sausage has 23 and eggs 211. Surprisingly, eggs are not sodium-free: But while a large egg contains 70 milligrams, 1 ounce of sausage has 180 milligrams and ham has 370 milligrams, says Dunn. Are there other reasons eggs are considered unhealthy? Yes. They can keep bad company. If you’re in the habit of eating one or two eggs a day, you may also be cooking them up with butter, sausage, bacon and cheese, all of which raise blood cholesterol — which affects heart health. Are there any health benefits to eating eggs? Yes. One egg packs in 6 grams of protein (a little more than half in the white). “In fact, the FAO [Food and Agriculture Organization] of the United Nations classifies eggs as the highest protein source, above other protein of a food by analyzing its amino acid content, its digestibility and the amino acid requirements of the animal species that eat it. With 100 as the standard for protein quality, an egg is rated at 93.7. Other foods include cow’s milk (84.5), fish (76), beef (74.3) and soy (72.8). This means egg protein has the highest value for growth,” says VanBeber. Are there other reasons to eat eggs? Eggs cook quickly and are ready within minutes. They’re very easy to eat (which is especially important for the young and elderly) and store. Plus, eggs are portable when hard-boiled and make a great low-calorie snack. And they’re inexpensive. “Today at the supermarket, one dozen large eggs can cost as little as $1. One egg contains the protein equivalent of 1 ounce of meat — that’s a great value for the money,” says Dunn. Since most people need more than one egg to satisfy their hunger, consider whipping up omelets using one whole egg and two or more egg whites. “Egg whites add volume and protein to your omelet with few calories and no extra fat or cholesterol. You can find other alternatives like egg substitutes in the dairy aisle, which scramble and cook up just like eggs. But unlike whole eggs, they are virtually fat- and cholesterol-free,” says Zuckerbrot. Can you explain egg grading? Why is it that I can’t always find the expiration dates on the cartons? All USDA-inspected egg cartons must carry the date the eggs were packed. That’s not the same thing as an expiration date, although many brands voluntarily opt to label their cartons with a date beyond which the eggs should not be sold. That date can be no more than 30 days from the packing date for USDA-inspected eggs. The format of the packing is a little unusual: Each day of the year gets a number (the first day of January is number 1 and the last day of December is 365). So you might not recognize these numbers — the Julian system of dating — as dates unless you know what to look for. Plants not governed by the USDA are governed by their state’s laws. How should you store eggs? Do the white and yolk have different nutritional values? Definitely. While both have protein, the albumen (that’s the egg white) has a little more than half the total protein in an egg (about 3.5 grams) and none of the fat. This part of the egg can indicate the egg’s freshness: As the protein composition of the albumen changes over time, the albumen changes texture. For instance, fresher eggs will remain more upright when cracked while older eggs spread out more. If whipped, the albumen can increase in volume six to eight times — it becomes airy and light, almost like a weightless whipped cream texture. You’ll also find about 55 milligrams of potassium and sodium in the white. In contrast, the yolk has almost 3 grams of protein and about 5 grams of fat, but it also has half a milligram of iron, 66 milligrams of phosphorus and 245 IU of vitamin A. Can eggs make me sick? It’s possible, but highly unlikely — only one egg in 20,000 contains salmonella bacteria, according to most experts. “The literature shows that salmonella food-borne illness from eggs has declined. Most salmonella in eggs is traced to the hen who lays the egg. This has prompted the egg industry to improve sanitation of egg farms,” says VanBeber. Homemade foods made from raw eggs (mayonnaise, eggnog, Caesar dressing and hollandaise sauce) carry a greater risk for salmonellosis (the disease caused by salmonella bacteria). “Be sure to ‘coddle’ eggs first if you are using them in a recipe — that is, submerge them in boiling water for one minute — to kill some of the bacteria,” advises VanBeber. 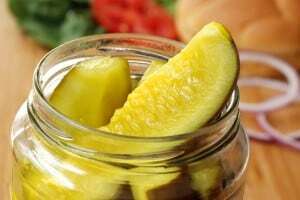 Nonetheless people with decreased immunity, including the very young or very old, as well as cancer and chemotherapy patients, should avoid any raw eggs. What are good health-conscious egg meals? There are lots of fast, easy, healthy meals you can make with eggs. Scramble one up with low-cal cooking spray, dump it on a piece of toasted whole-wheat bread and add a slice of low- or no-fat cheese for a satisfying breakfast. Also, egg white omelets with lots of veggies make some of the healthiest breakfasts. Chop up anything you like: peppers, mushrooms, onions, broccoli, tomatoes, and toss the ingredients in the center of the omelet. Then fold the eggs and cook briefly on both sides. Get creative and try new combinations to keep things interesting — for instance try mixing cucumbers and avocado into your eggs for a change. Remember, as you add low-cal veggies, you increase the density and amount of food without noticeably adding calories — so you can increase the amount of food you eat without worrying about the calorie count. What if you get a blood spot in an egg? Blood spots, occasionally called meat spots, sometimes (albeit rarely) are found in the egg’s yolk. Less than 1 percent of all eggs have blood spots, which, contrary to popular belief, do not indicate a fertilized egg. They are actually caused by a rupture of the blood vessels on the surface of the yolk while the egg is being formed. If you do happen across one, it is actually a sign of freshness. Virtually nothing. White-shelled eggs are produced by hens with white earlobes. Brown-shelled eggs are produced by hens with red earlobes. There is no difference in taste or nutrition between white and brown eggs, says Rebecca Odabashian, R.D., L.D., a nutritionist at Levindale Hebrew Geriatric Hospital in Baltimore.